It’s that time of year again. The nights are drawing in, the central heating is starting to creak into action, the football league tables are just about starting to mean something – and the longlist for the William Hill Sports Book of the Year Award, now in its 22nd year, is announced. And what a list it is too. Thirteen books this year, all supposed to have been published for the first time in the UK between September 30 2009 and September 29 2010, this year covering boxing, cricket, angling, running, rugby and tennis, as well as titles looking into the psychology and history of sport. Strangely perhaps, some aren’t just about sport. If I had to pick an early front runner, it would one of those. 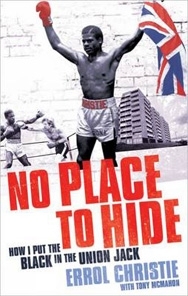 Erroll Christie’s No Place To Hide: How I Put the Black in the Union Jack (Aurum) is much more than a book about sport, even though Christie was one of the most promising boxers of his generation, captain of the England boxing team, and a British and European middleweight champion with a reputation for devastating early knockouts. His story is more about racism in the fight game and in 1970s and 1980s Britain – Christie grew up in the hard back streets of Coventry, where he used his fists to see off the knuckle-dragging followers of the National Front. A savage defeat by Mark Kaylor in 1985 effectively ended Christie’s career in the ring and then it was a swift downward spiral. Today, though, he is one of the country’s leading coaches of “white collar boxing”, with students including Dermot O’Leary and Gianluca Vialli. He also works in inner city schools, using boxing and his experiences of racism to campaign against knife and gun crime. His co-writer, Tony McMahon, an online, TV and print journalist, is one of his boxing students. A boxing book that is mostly about the boxing and yet still tells a wider story is Liston and Ali: The Ugly Bear and the Boy Who Would Be King by Bob Mee (Mainstream), the boxing analyst and commentator for Eurosport TV, who gives us a detailed account of two of Muhammad Ali’s most famous fights. When this all happened for the first time, in February 1964, it was before Joe Frazier and George Foreman stood in the way, when Ali was still Cassius Clay and to most people not much more than a big-mouthed former Olympic champion. Indeed, it was the next day that he announced his name change. Ironically, America needed a Clay win. Or at least a Liston defeat. Liston’s “Mob” connections had been worrying all sorts of people, not least President Kennedy. The Ali-Liston fights, and therefore this book, tell us a lot about 1960s America, a nation almost at war with itself. Andre Agassi’s ghosted biography is called Open: An Autobiography (Harper Collins), and open it certainly is. Indeed, it may become the first anti-sport book to win a sports book of the year award. It turns out that for Agassi, the flamboyant teenaged phenomenon who became a flamboyant world No1 with the best service return in the history of the game, tennis was actually a prison from which he spent three decades trying to escape, from a sport that threatened to devour him. It’s a confessional – drugs and all – although, of course, the story is now well known. Simon Barnes, multi-award winning chief sportswriter of The Times, nature writer, novelist and horseman, weighs in with A Book of Heroes: Or A Sporting Half Century (Short Books), in which he takes his 50 sporting heroes of the last 50 years and analyses what it was that elevated each of them to “a state of grace and greatness”. The entries are drawn from across the sporting spectrum, from Dame Ellen MacArthur’s triumphant finish off the French coast in 2005, to Bobby Charlton’s long-range goal that transformed England’s World Cup fortunes against Mexico in 1966. 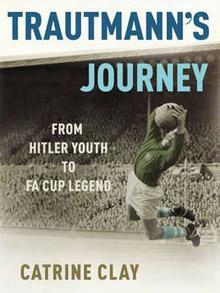 BBC TV director and producer Catrine Clay’s Trautmann’s Journey: From Hitler Youth to FA Cup Legend (Yellow Jersey) worries me. Again, it’s not so much a sports book as a book that uses a sportsman to tell another story: this time about Nazi Germany. In 1990, I published a Trautmann biography, written by Alan Rowlands. That was almost all about the football. Trautmann himself was involved and attended the launch. I found him arrogant and cold. Now 86, he also collaborated in Clay’s book, which tells how the man who most football fans know best as the-goalkeeper-who-broke-his-neck-in-the-FA-Cup-Final-but-kept-on-playing-anyway was actually the perfect Third Reich prodigy: blue-eyed, blond and unquestionably loyal. Hitler Youth member, paratrooper who liked to go down town and beat up Italian allies because he despised their weaknesses just as he despised Nazi sceptics as traitors to the Fatherland, when he was released from a POW camp in Lancashire, Trautmann couldn’t have picked a club with more Jewish fans than Manchester City had after the war. Somehow he won them over. But we’ll never know if he ever saw the error of his early ways. Rugby is represented by two titles: Tom English’s The Grudge: Scotland v England, 1990 (Yellow Jersey), which tells the story behind the build-up to the Grand Slam decider at Murrayfield, an event that saw sport, politics and an ancient rivalry come together in unforgettable fashion; and Brian Moore’s Beware of the Dog: Rugby’s Hard Man Reveals All (Simon & Schuster), a book which I reviewed earlier in the year. Freelance journalist Rob Hadgraft’s Tea With Mr Newton: 100,000 Miles, The Longest Protest March in History (Desert Island Books) is his fourth about a running legend, this time one Arthur Newton, a self-coached runner whose training ideas were to shape the way distance runners trained in the post-war period. Newton is a remarkable figure in the story of long-distance running. And Hadgraft, a former East Anglian Daily Times staff man, is a remarkable researcher. I’m not sure if fishing even is a sport, so I’m not at all sure what Blood Knots by Luke Jennings (Atlantic Books) is doing here. But once you allow that drowning maggots counts as a sporting activity, then this lovingly told memoir is a worthy addition to the list. Again, it’s not just about the sport – or pastime. It’s also about innocent childhood and friendship, in this case a friendship with the enigmatic Robert Nairac, who taught Jennings, now the dance critic of The Observer, fly-fishing and falconry before being killed by the IRA while working as an intelligence officer in Northern Ireland. Since it is published by Biteback, run by the notorious political blogger Iain Dale, they probably don’t realise that the question of why football is so popular – damned or otherwise – has hitherto rarely been left largely unanswered. Whatever, Nicholson “devoted football obsessive and lifelong Middlesbrough fan” feels that the answer lies mainly in the history of the football shirt and the culture of food (both pies and prawn sandwiches) in and around football grounds. I’ll leave it with you. 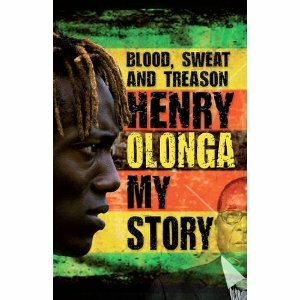 Which brings us to Blood, Sweat and Treason by Henry Olonga (Vision Sports Publishing), one of two incredibly courageous sportsmen – Andy Flower was the other – who has written a tale that tells the story of Olonga’s journey through the world of Zimbabwean sport, where everything is political, and where the politicians are mostly world-class bastards. Yet again, a sports book that is not always about just the sport, Blood, Sweat and Treason must surely be an outstanding candidate to lift the William Hill. Bounce: How Champions Are Made (Fourth Estate) by Matthew Syed considers what are the hidden factors that enable some sportsmen and women to rise well above the level of their competitors. Award-winning Times columnist Syed is well qualified to conduct the investigation: he was a three-times Commonwealth table-tennis champion. But he doesn’t just look at sports stars: Mozart’s upbringing and the recruitment policies of Enron are in here too, along with the latest in neuroscience, psychology and economics. The real nature of talent, what kind of practice actually works, how to achieve motivation, drugs in both sport and life, and whether black people really are faster runners. To be honest, it’s all a bit above me, but that alone should qualify it as a strong contender. Finally, my old pal Duncan Hamilton is on a hat-trick. Having lifted the William Hill prize twice, in 2007 and 2009 (for Provided You Don’t Kiss Me: 20 Years With Brian Clough and Harold Larwood: The Authorised Biography of the World’s Fastest Bowler respectively), he is in the running once again with A Last English Summer (Quercus), his reflection on cricket’s past, present and future. If he goes on to win, Hamilton will make history by becoming the first writer to take this prestigious award three times. Then he might buy me that glass (or two) of wine he’s been threatening since his Cloughie success. The William Hill Sports Book of the Year Award is the world’s longest established and most valuable literary sports-writing prize. As well as a £22,000 cash prize, the winning author will receive a £2,000 William Hill bet, a hand-bound copy of their book, and a day at the races. The judging panel for this year’s award is broadcaster and writer John Inverdale; award-winning journalist Hugh McIlvanney; broadcaster Danny Kelly; and columnist and author, Alyson Rudd. Chairman of the judging panel is John Gaustad, co-creator of the award. The longlist will be whittled down to a shortlist on October 26. The winner will be announced at a lunchtime reception at Waterstone’s Piccadilly bookstore, on November 30.